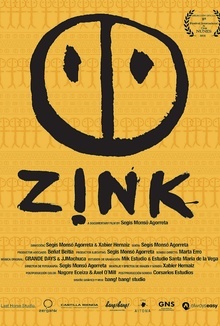 Zink is a 55,000 kilometre long journey through 21 countries around the world in search of answers to concrete questions about our very existence. Zink is a 55,000 kilometre long journey through 21 countries around the world in search of answers to concrete questions about our very existence. The insights of locals with whom we have shared our journey invite us to get to know other cultures and reflect upon the secret to happiness and our reason for being. As the years pass, we seek to determine what is truly worthwhile in life and what is essential to achieving a universal desire: BE HAPPY. Interviewing people from around the world might be the way to resolve some of these questions. If we analyze the answers, in spite of the sociocultural and economic differences, surely they will reveal connections with each other. The goal of Zink is to relay these responses to future generations. Our interviewees, all of them middle-aged, have something to say. Their reflections on what they have learned throughout their lives offer us the greatest possible education.